This is the BETA release for Linux Mint 17.3 “Rosa” Xfce Edition. It will also be possible to upgrade from Linux Mint 17, 17.1 and 17.2. 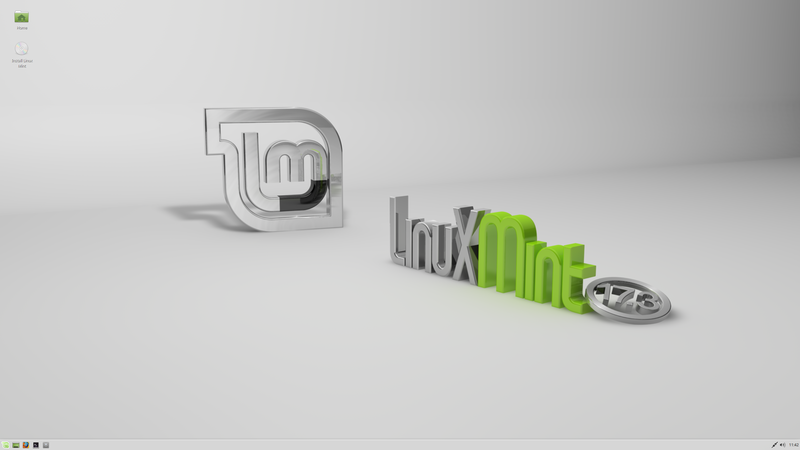 Upgrade instructions will be published next month after the stable release of Linux Mint 17.3. Does the 32 bit version support non-PAE processors like a Core Duo? – dude , read the Release Notes, your answer is there. Thx Clem & the Team ! Your hard work is greatly appreciated. Great distro. Right now I am using it in live mode, but I plan to install. Two things that I noticed. In order to change the background you need to navigate in the desktop settings to a specific folder within the backgrounds folder, just going to the backgrounds folder does not show any backgrounds. The second item is that openbox is listed in “What’s New” as an option, but it is not an option in Desktop Settings and is not installed. Will it be installed in the final release? Edit by Clem: Xfce traditionally shows backgrounds from /usr/share/xfce4/backdrops by default and that’s where we place our backgrounds. OpenBox is supported but it won’t be installed by default. Been waiting for this – Happy New Year Mint Team! And Thanks! 4. Switching from xfwm4 to xfwm4+compositing does not turn on compositing (use xfconf-query to turn it on). And switching from xfwm4 to compiz doesn’t work too. Switching to compiz breaks very fast, no matter which wm you have chosen. 5. Compton doesn’t have shadown in default configuration. Maybe it is good solution, cause shadows behave strange with rare software. Edit by Clem: For point 7. we would need Xfce to support applets which are able to hide themselves. Typically in Cinnamon we ship the power applet and the keyboard indicator applet, but these only show info if there’s a battery or two keyboard layouts. We’d need Xfce to do the same in order to use these applets by default. here is a bug with the Window manager setting. After changing the default xfwm4 to COmpiz or others from the settings, after a new login the window manager does not load correctly. Compiz loads the window manager, but no effects whatever, Metacity fails to load the window decoration…. Give the backgrounds time to load… I’ve always experienced a LONG pause…remember they are LARGE graphics files. Crashing (and rebooting) badly for me. 17.2 runs fine. I installed 17.3 Beta Xfce x64. It crashes hard into a reboot that only gets to a BIOS/UEFI error about “boot failure, load defaults, enter setup”. From here I must power down completely to try again, entering BIOS setup and then rebooting only repeats the error. As if my hard drive is corrupted or dead, but it’s not really. It happened after ~10 minutes after install while doing the final updates (no nvidia driver yet) and setup stuff. It was just idling at the desktop while I was working on another PC and when I looked over a minute later it was sitting at the BIOS error. The next time, about 10 minutes later and with nvidia 352.63 installed (totally stable on 17.2, same rig) I was using Thunar (via gksudo thunar) and just started to browse /usr/share/backgrounds/rosa and while loading/caching thumbnails of the wallpapers, BAYUM! Freeze, reboot, boot failure error again. That was enough for me. Specs follow. No overclocking or anything weird. Edit by Clem: Well that’s not 100% true unfortunately. Ubuntu will retire the Precise repositories some time after the End Of Life (in 2017) and after that happens you won’t be able to install applications from them. All of the backgrounds ate in folders within the background folder. After 2 hours they still did not appear in “Desktop Settings”, however if I navigate to a specific folder within the desktop folder the desktop thumbnails appear. I have the same problems. There seems to be a problem with the “Desktop Settings” functions. In addition the shield in the panel that showe if your system is up to date or there are updates is void of any indications as is the “Update Manager” when the shield is clicked. Just clicked on the “Update Manager” in the menu and now it is indicating that my system is up to date. @Anna, I would suggest reinstalling a new version. Running a system without security updates is a bad idea, unless you don’t surf the web. But seeing that you still got support until April 2017, I would wait at least until Mint 18 comes out in the summer of 2016. Then, after installing mint 18, you’ll get support until 2021! Glad to see Linux Mint 17.3 Xfce beta! I have been using Mint since version 13 on my desktop machines and server. It has proved to be stable, reliable, and easy to use. Moreover, the Mint implementation of Xfce is the most aesthetically pleasing distro available right out of the box. I look forward to upgrading to 17.3 when the final Xfce version is available. Will this dual boot with windows 10 though. ??? Please date final release final xfce version? Great distro. Yes, I have it dual booted with Windows 10. 1. The icon disappeared on reboot leaving an empty space. 2. The icon does not update when removing or inserting the power cable, or as the battery runs down. @Sudric: strange indeed!? Concerning the bug in File Roller, I think it might be a version problem, Mint is using a very old one and the bug doesn’t show up in Xubuntu which is using a more recent one. Edit by Clem: Hi, I was able to reproduce it and indeed it’s specific to our version of file-roller (nothing to do with Xfce or Thunar). you have more than a year to plan a migration. I suggest a parallel install using a copy of your existing /home directory. You can try it now with a current version for practice… you should be able to retain all of your settings. I have an old laptop Acer Extensa 5220 with Intel Celeron 560 (2,13 Ghz) 1GB RAM DDR2 and 160GB HDD. Do i match the system requirements for installing mint 17.3 Xfce when it will become a stable release? Waiting for your reply i wish you a very happy new year! Having successfully migrated from every version of mint since Mint9, I can honestly say that the 17.x is far more polished and sophisticated than Maya, and i would expect 18.x to be even more so. Security is a key concern and I would advocate a migration to a supported LTS as peter e suggests above (you need patches for the next Heartbleed type bugs!). I use deja-dup to backup and restore when doing a full re-installation, but other backup tool are available. The 17.x LTS with built in upgrades has been another major improvement in ease of use that you can look forward to with an 18.x LTS. Alternatively you could move to the LMDE II Betsy version and have a rolling release based on pure Debian rather than Ubuntu, which also gets you away from the upgrade problem, but with many of the nice utilities that Mint provides. @sudric: BTW I followed your steps but couldn’t reproduce your problem: no need to refresh to see the newly created archives here. The other: More faster than the other operating systems. And also complete Hardware Drivers support. It`s 2016, Be Fast and Complete please. Change the Linux Please for GOD Sake. I want to dual boot this with my windows 10 but it says it can’t detect other os and it only gives me option to erase the whole disk and install. How do I dual boot? I think my system is UEFI and Secureboot is on. Edit by Clem: For KDE/Xfce? yes. Love it! However, been experiencing install problem for 17 series with some hardware, notably AMD2200/2400/Radeon9200+plenty RAM. The process drops out about three-quarters through file copying to regular default wallpaper with ever-rotating cursor circle. Simple cure – install on another machine and swap hard drive, but it’s worrying. Post-install fantastic on all hardware. Keep up the good work. Prosperous New Year! I would like to set trackpad defaults on startup. 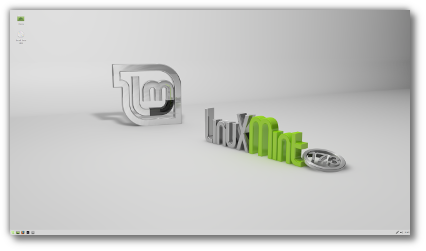 one for Linux Mint XFCE and one for Debian LXDE. or just a difference between XFCE and LXDE? This works in Linux Mint XFCE but needs a terminal window on startup rather than QUIETLY setting trackpad preferences. This works in Debian LXDE but fails in Linux Mint XFCE. Firstly, thanks for fixing linuxmint.com titles (blog linking). In connection with Xfce, (as mentioned prior to 17.3 on IRC) since other Mint flavours show actual Menu application names, should “Whisker Menu” -> “Appearance” -> “Show generic application names” be checked by default? Thank you for your hard work. Hope you’re soon back to full health! Edit by Clem: Thanks, I’m almost there 🙂 I quite like the way it’s set up at the moment (and it doesn’t need to be 100% the same across editions). I noticed that when the install presentation runs, it shows Firefox and Flash together. Shouldn’t Flash be removed from this presentation? Oh, darn, the installer just crashed, now, too. It’s a very good news 😉 you guys make great job 🙂 will be a chance that linux mint 18 will also get nice Dark Minty theme? I’d like to see the magnifier in the Cinnamon desktop get a GUI so it can be easily configured. I also would like it to be brought over to the XFCE desktop. If this can be done, well, it would make the transition much easier. Try elementary-xfce icon theme (from external ppa). Mint-X misses some power icons, I pulled to 17.3 APC power icon, don’t know about other. Also you may try hide power icon from tray and add power applet to panel.